There’s nothing like a mattress made up of Benjamins. 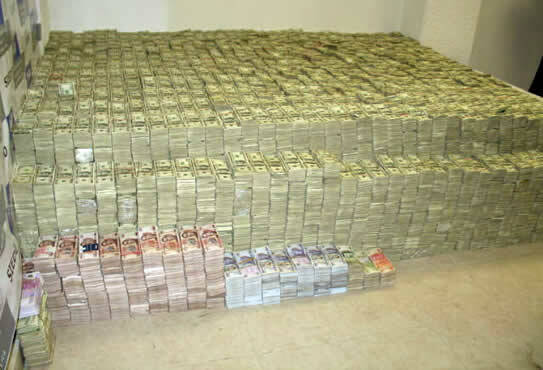 Actually, this supposedly was the property of a drug lord, totaling in $205 million USD with seven armed guys guarding it. Sheesh.